Volume 21 no. 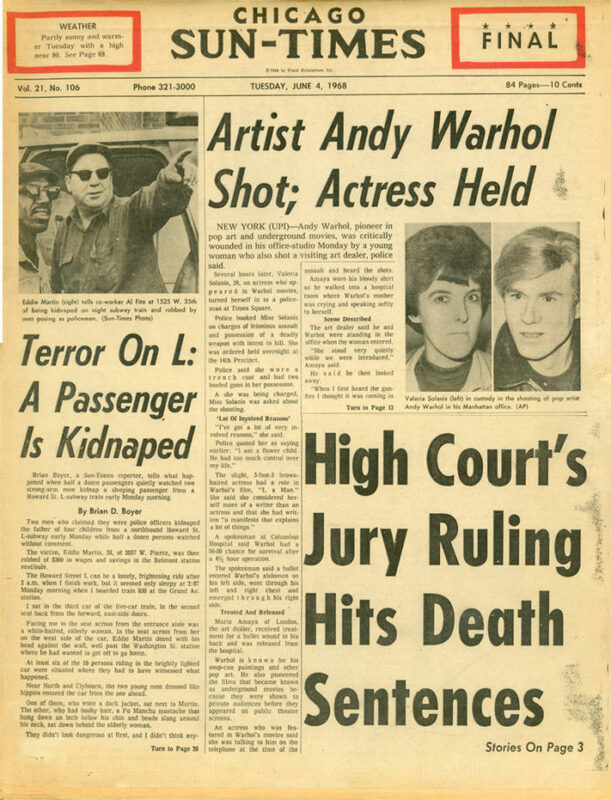 106 of the Chicago Sun Times featuring headline Artist Andy Warhol Shot; Actress Held, on June 4th, 1968. Published the day after Warhol was shot by actress Valeria Solanis. 83 Pages. 12″ x 16″. Slight fraying of paper edges.